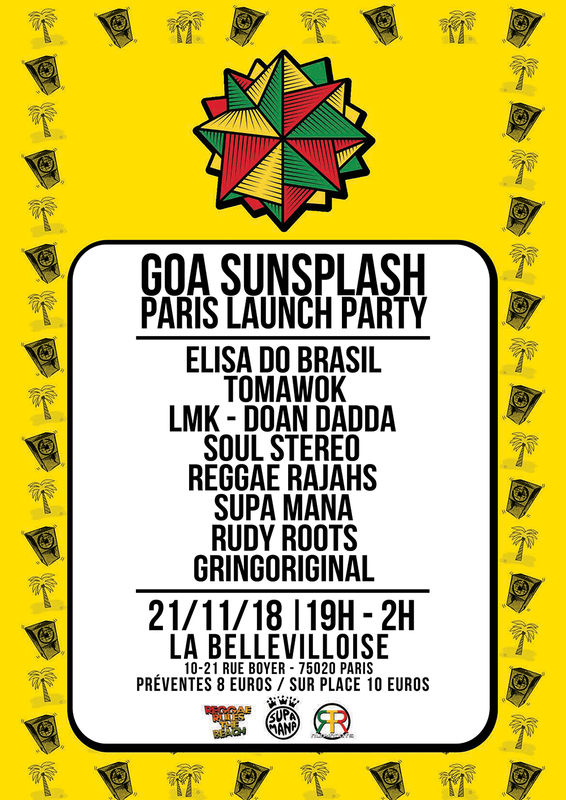 Goa Sunsplash Paris Launch Party! Published on Nov. 18, 2018, 2:57 p.m. Calling out to all Paris Massive the Sunsplash 2019 Launch party is coming to your town this weekend! Tell your friends to bring their friends because we're headed for a massive one! check out our artists lined up for you. Calling out to all Paris Massive the Sunsplash 2019 Launch party is coming to your town this week! Tell your friends to bring their friends cz we're headed for a massive one! check out our artists lined up for you.